Seven decades after making key portions of the atomic bomb dropped on Nagasaki, Japan, workers at the Hanford Nuclear Reservation are being exposed to radiation as they tear down buildings that helped create the nation's nuclear arsenal. The incidents have prompted the federal government, along with state regulators, to halt the demolition of the sprawling Plutonium Finishing Plant until a safety plan can be developed. The contamination has also shaken confidence in a massive cleanup of Hanford, the nation's most polluted nuclear weapons production site. The work costs the federal treasury around $2 billion a year. Hanford is near the city of Richland, about 200 miles southeast of Seattle. 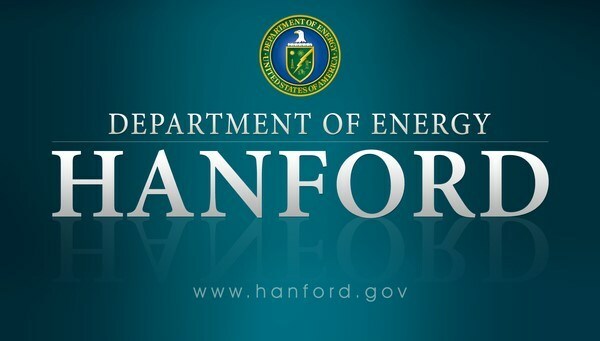 The Energy Department, which owns Hanford, has launched an independent investigation into the spread of radiation at the plant. The investigation will be conducted by an agency office that is not connected to work at Hanford. Radioactive particles are known to have contaminated 42 workers, which led to the shutdown of demolition, the agency has said. Carpenter said widespread worker contamination has been rare at Hanford in recent decades. Plutonium production ended in the 1980s and the site in 1989 switched its focus to the cleanup of nuclear wastes. "We've got our eyes on [the Energy Department] and will do what we've got to do to keep workers safe," said Paul Ruggles, vice-president of the Hanford Atomic Metal Trades Council. Workers have the ability to immediately shut a project down, and will not hesitate to do so if their safety is threatened, Ruggles said. Hanford officials issued a report in late March that said a total of 42 Hanford workers inhaled or ingested radioactive particles from the demolition of the Plutonium Finishing Plant when they were exposed during contamination events in June and December of last year. Seven workers' homes were checked for radioactive contamination, with none found, the report said. The report concluded Hanford officials placed too much reliance on air-monitoring systems that failed to pick up the spread of radioactive particles. Risk escalated as walls of the plutonium plant were knocked down and the rubble was stored in piles. Fixatives sprayed on the rubble to keep radioactive particles from blowing away might not have been effective, the report said. In addition, the state Health Department found very small amounts of airborne radioactive contamination near Highway 240 in the past year that could have come from the plant demolition 10 miles away. The amount of radiation involved was low - even lower than naturally occurring levels of radiation people are exposed to in everyday life. But the project was not supposed to expose workers to any additional radiation. The amounts of radiation that have escaped are considered too small by state experts to pose a health risk. All the contamination was found on lands that are closed to the public. Hanford was created during the Manhattan Project in World War II and made the plutonium for the atomic bomb dropped on Nagasaki, Japan, that effectively ended the war. In May 2017 The Big Wobble reported, The Oregon Department of Energy has activated its emergency operation centre in response to an emergency at the Hanford Nuclear Reservation in Washington. ODOE officials are coordinating with the Oregon Department of Agriculture, Oregon Health Authority and nuclear safety experts at Oregon State University, ODOE spokeswoman Rachel Wray said Tuesday morning. "Hanford is 35 miles away from Oregon," Wray said. "We are concerned about Oregonians' health and that concerns the food we eat." The U.S. Department of Energy declared an emergency at the site at 8:26 a.m. Tuesday after a routine check found that a portion of a storage tunnel that contains radioactive waste had collapsed. The tunnels are hundreds of feet long and are covered by about eight feet of soil. The Hanford Fire Department is on the scene and is reporting that the tunnel has caved in an area approximately 20 feet by 20 feet over one of the tunnels next to the Plutonium Uranium Extraction Facility, or PUREX. There is no indication of a release of contamination at this point, the U.S. Department of Energy said in a news release. There were no workers in the tunnel when it collapsed. Hanford is located on the Columbia River near Richland, Wash. It has more than 9,000 employees. About 29,000 Oregonians live in the nearby communities of Boardman, Irrigon, Hermiston and Umatilla.